In Whole Foods, the Court concluded that, “[i]n determining whether the mere maintenance of rules such as those at issue here violates [the NLRA], the appropriate inquiry is whether the rules would reasonably tend to chill employees in the exercise of their [legal] rights [under the NLRA].” According to the Court, Whole Foods’s no-recording policies “prohibited all recording without management approval,” and for this reason, “employees would reasonably construe the language to prohibit recording protected [by the NLRA].” On this basis, the Court agreed with the NLRB that the policy was unlawful. 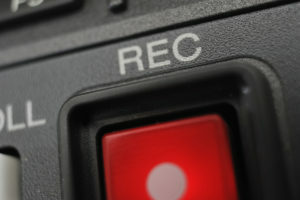 The bottom line for members of the management community—categorical prohibitions on all workplace recordings violates the NLRA. This is true even in a non-union workplace setting. Although the decision is disappointing to many, the Court left open the possibility that narrowly-tailored no-recording policies, which do not trample on rights protected by the NLRA, might pass muster in a different case. Also, it is worth nothing that the NLRB still retains its Democratic majority, and will until President Trump finishes his nominating process and his nominees are confirmed. Once the NLRB shifts to a Republican majority, it is conceivable that the NLRB’s position on workplace recording policies takes a decidedly pro-employer shift.